My Opinion: 5.6 || A worthwhile experience about important subjects but very pedestrian filmmaking. The movie has been made with great integrity and sense of purpose, and I wish I could rate it better, but the director isn’t able to coalesce his profound subject matter into truly effective film. SYNOPSIS (Courtesy of IMDb): In Chile’s Atacama Desert, astronomers peer deep into the cosmos in search for answers concerning the origins of life. 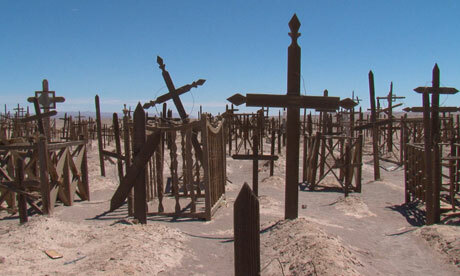 Nearby, a group of women sift through the sand searching for body parts of loved ones, dumped unceremoniously by Pinochet’s regime. Strengths: The discussions about astronomy are sometimes fascinating, and many of the pieces about the abuses of the Pinochet dictatorship are powerful. The stories of the victims and of the relatives who are working to recover the past are raw and moving. Guzmán is exactly right that there’s something profound in astronomers’ and investigators’ different but overlapping pursuits of the past. The problem is that the film describes that connection without illuminating it in deeper ways. Weaknesses: The filmmaking, unfortunately, is not up to par with the subject matter. 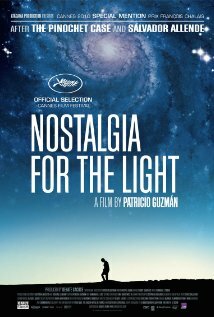 Guzmán’s narration feels unfocused and occasionally repetitive (reinforcing my apprehension about documentary narration). In several places, he strains to make connections for us rather than elucidating the connections with skilled filmmaking. At several points, he reaches for elegance by overlaying twinkling starlight over everyday scenes. It’s a clumsy effect whose artificiality detracts from the film and only highlights the absence of more subtle illumination. Best Scene: There are few standout images in the film, and even some superficially beautiful shots of distant galaxies arrive with little drama or impact. The best moments are the interviews themselves.